SAMA’ (hasiera batean Skywalker izenaz ezaguna) Palestinako lehenengo DJ eta musika elektronikoaren ekoizlea da. 2006an, Ramallah (Palestina) hirian musika nahasten hasi zen. 2010ean, Bere lan propioa ekoizten hasi ostean, sintesiarenganako bere interesa sustatzen hasi zen, musika elektronikoa ardatz bezala hartuz, batez ere, technoa, housea eta beste azpigenero sakonagoak. Bere soinua techno indartsu bat da, lehorra eta musikala aldi berean, ukitu propio eta berezi batekin. 2011an, Erresuma Batura joan zen Londreseko SAE Instituten Audio Ingeniaritza eta Musika Ekoizpena ikasteko, horrela bere trebetasun teknikoak hobetuz. Handik gutxira, bi disko kaleratu zituen Skywalker bezela: Life’s Pace, Itchycoo Records-en plazaratutako EPa eta Quantum Morphosis, Samak berak argitaratutako triptikoa. 2017an, Frantziako Institutuak SAMA’ Pariseko the Cité Internationale des Artsean sei hilabeteko erresidentzia bat burutzeko hautatu zuen, bertan bere hurrengo diska eta zuzeneko emanaldi berria lantzeko aukera izanez. SAMA’ (anteriormente llamada Skywalker) es la primera DJ y productora de música electrónica palestina. Comenzó a mezclar música en su ciudad, Ramallah, en 2006 y empezó a producir su propio material y a expandir su interés por la síntesis en 2010. Su enfoque es la música electrónica, específicamente el techno, el house y otros subgéneros más profundos. Su sonido engloba un potente techno, seco y musical a la vez, con un toque propio único. En 2011, se mudó a Reino Unido para obtener una licenciatura en Ingeniería de Audio y Producción Musical de SAE Institute de Londres, mejorando aún más sus habilidades técnicas. Poco después, lanzó dos álbumes como Skywalker: Life’s Pace, un EP debut con Itchycoo Records y Quantum Morphosis, un tríptico independiente autopublicado. En 2017, al ser seleccionada por el Institut français, SAMA’ asistió a una residencia de seis meses en la International the Cité Internationale des Arts, en la cual trabajó en los que serán su próximo álbum y un nuevo espectáculo en vivo. 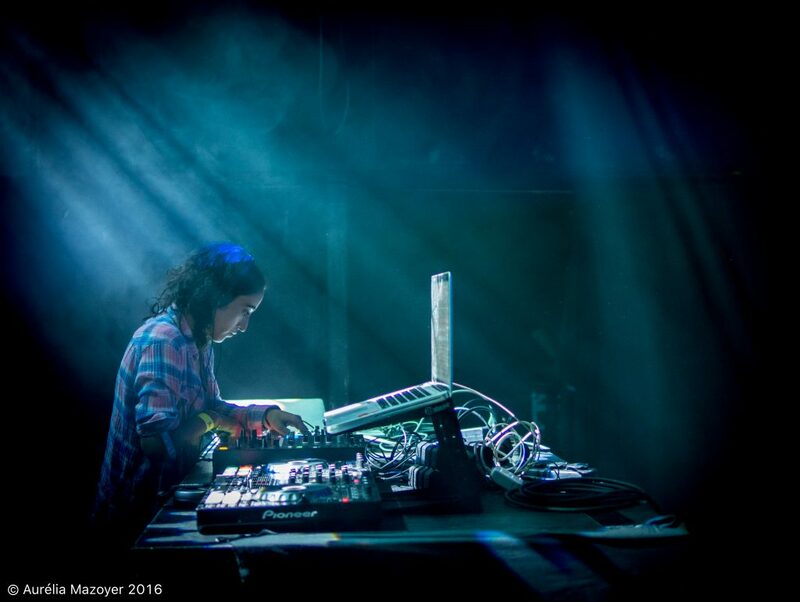 SAMA’ started mixing in 2006 in Ramallah, and started producing her own music and expanding her interest in synthesis in 2010, with a focus on Electronic Music, more specifically Techno, House, and other deeper sub-genres. Her sound: a powerful punchy techno, dry and musical all at once, with a very unique twist of her own. In 2011, she moved to the UK to acquire a Bachelor of Science in Audio Engineering and Music Production from S.A.E. London, further improving her technical skills. Soon after, she released two albums as Skywalker, «Life’s Pace» a debut EP with Itchycoo Records, and «Quantum Morphosis», a self-released independent triptych (available on itunes and all major platforms). SAMA’ then started her career in Cairo in 2013 as an Audio Engineer, Music Producer, Audio Trainer and Sound Designer for films. In 2016, she partnered with Eka3 to start a publishing agency of its first kind called Awyav, which represents independent artists from all over the Arab world. In 2017, as she was about to settle in Paris, SAMA’ decided to change her artist name from Skywalker to SAMA’ her original name which means Sky in Arabic. In 2017 SAMA’ was selected as a Laureate by the French Institute to attend a six months residency at the International City of Arts in Paris, in order to work on her next album and live show.